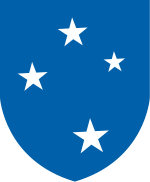 John Reed Hodge (June 12, 1893 – November 12, 1963) was a highly decorated Officer of the United States Army with the rank of General. 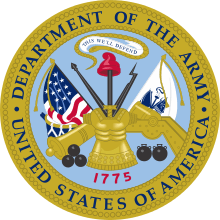 His final assignment before retiring was as Chief of Army Field Services, 1952-1953. Born in Golconda, Illinois, Hodge attended Southern Illinois Teachers College and the University of Illinois. After completing U.S. Army Officer Candidate School at Fort Sheridan, he entered military service as a Second Lieutenant of Infantry in 1917. He served in World War I in France and Luxembourg. 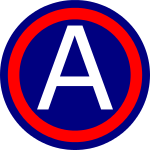 Remaining in the Army following the end of the war, he taught military science at Mississippi State University from 1921–1925 and graduated from the Infantry School in 1926. After a posting to Hawaii, he graduated from the Command and General Staff School, the Army War College, and the Air Corps Tactical School. At the beginning of World War II, Hodge served as Chief of Staff of the VII Corps under the command of Major general Robert C. Richardson Jr., located in California as a part of the Western Defense Command. He was promoted to the temporary rank of Brigadier General in June 1942 and transferred to the 25th Infantry Division in Hawaii, where he was appointed Assistant Division Commander and Deputy of Major general Joseph Lawton Collins. The 25th Division was sent overseas to Guadalcanal in November 1942. Hodge stayed with 25th Division until April 1943, when he was promoted to the rank of Major General and transferred to the temporary command of the 43rd Infantry Division, where he relieved Major general John H. Hester, who was exhausted from combat. Hodge commanded the 43rd Division during the combats in Northern Solomons and was decorated with Army Distinguished Service Medal for his service. After three months of service with 43rd Division, Hodge was given command of the 23rd "Americal" Infantry Division on Fiji Islands. 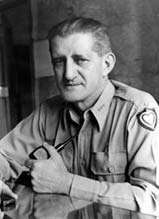 He subsequently commanded the Americal Division during the Bougainville campaign. Hodge was appointed Commanding officer of the newly activated XXIV Corps in Hawaii and participated in the Battle of Leyte within Philippines Campaign and later in Battle of Okinawa. He received Army Distinguished Service Medals for each of this campaigns. Hodge was promoted to the temporary rank of Lieutenant General in June 1945. 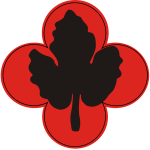 From 1945 to 1948, Hodge was the military governor of South Korea under the United States Army Military Government in Korea (USAMGIK). He took his corps to Korea under orders of General MacArthur, landing at Incheon on 9 September 1945. He was the commanding officer receiving the surrender of all Japanese forces in Korea south of the 38th parallel. Hodge then returned to Fort Bragg, North Carolina to command V US Corps from 1948 to 1950. After the outbreak of the Korean War in 1950, he was named the Commanding General of the US Third Army, based in the United States of America, and not in Korea. Hodge received a promotion to General on 5 July 1952 and his final assignment before retiring was as Chief of Army Field Services, 1952-1953. General Hodge retired from military service in June 30, 1953 and died in Washington, D.C. in 1963.